I have been going to see Dr. Bob for almost 30 years. The past couple of years he was not on my insurance plan and the service I got from others was not as good; however, he is on my new insurance plan and I was elated. Dr. Bob takes his time and offers the best tests to ensure your eye health. He tells you the truth of what is best for you as opposed to trying to make extra money. He is truly a doctor that cares about your eyes and you as a patient. 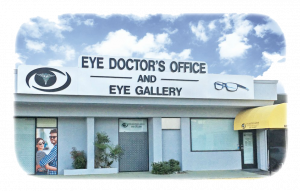 So if you want a great eye doctor, he is the one to go to. I look forward to the next 30 years of service.